After months of rumours and negotiations, Barack and Michelle Obama have finally signed a huge deal with Netflix to create a series of films and TV shows for the industry giant. 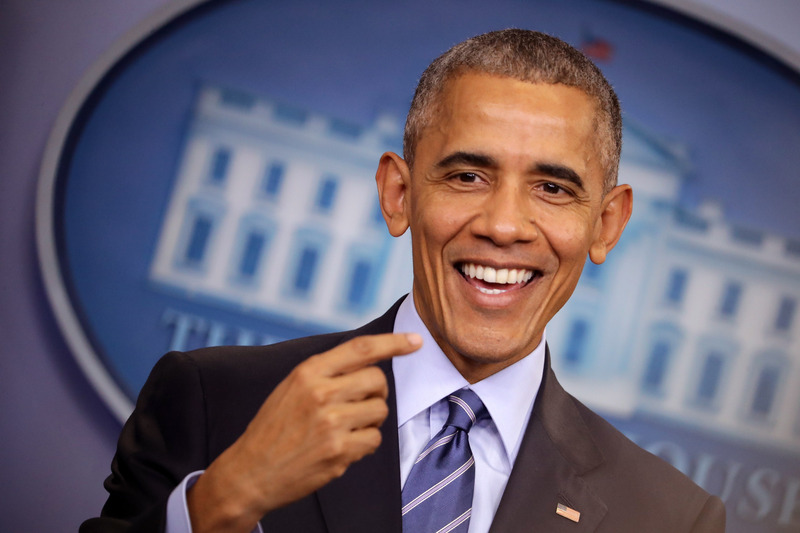 Obama, the first black person to become President of the United States and undeniably the coolest president in recent times, is hoping that the deal will give him a new platform following his departure from the White House just over a year ago. However it has been reported that the Obama’s will not be using their new platform to attack Trump or right-wing media – instead to focus their creative energy on ‘issues’ that the former president had to overcome during his time in office as well as sharing inspirational stories. According to The Independent, the Obama’s created a company called Higher Ground Productions which will produce the content they create. One of the simple joys of our time in public service was getting to meet so many fascinating people from all walks of life, and to help them share their experiences with a wider audience. That’s why Michelle and I are so excited to partner with Netflix — we hope to cultivate and curate the talented, inspiring, creative voices who are able to promote greater empathy and understanding between peoples, and help them share their stories with the entire world. This won’t be the first time the Obama’s have worked with Netflix. During Obama’s last year as POTUS he allowed Netflix to film behind the scenes. Netflix released The Final Year, but the new project intends to highlight inspirational stories, rather than take a political stance. The Chief Content Officer for Netflix, Ted Sarandos, has also explained that the shows created by the Obama’s will not be political but will instead focus on storytelling and communities. Barack and Michelle Obama are among the world’s most respected and highly-recognised public figures and are uniquely positioned to discover and highlight stories of people who make a difference in their communities and strive to change the world for the better. We are incredibly proud they have chosen to make Netflix the home for their formidable storytelling abilities. Whatever you make of the Obama’s, it’s sure gonna be interesting to see what they come up with! The Obamas, since leaving the White House, have started the Obama Foundation, a non-profit organisation, established to oversee the creation of The Barack Obama Presidential Center. It’ll take shape at the planned presidential library of Barack Obama and a campus in Jackson Park, on the south side of Chicago, near the University of Chicago. Chicago is where Barack and Michelle Obama grew up and raised their two children, Malia and Sasha.